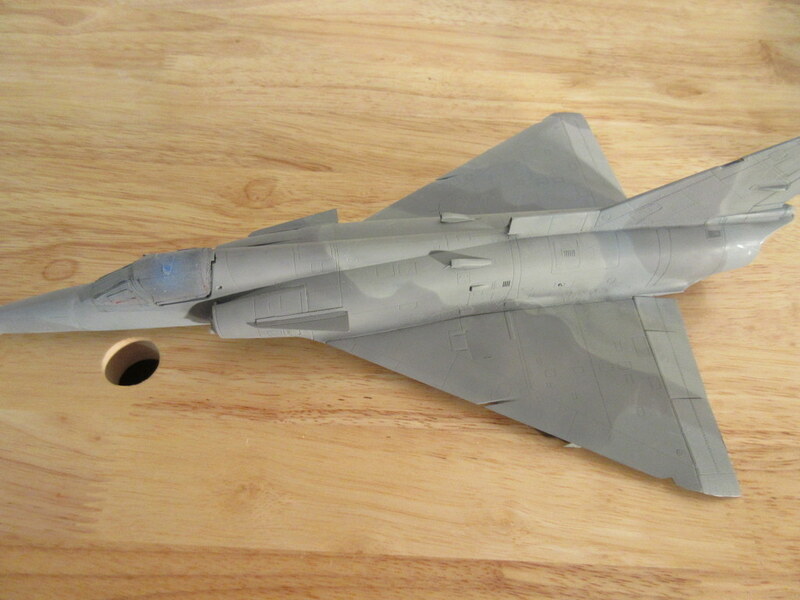 The Kinetic F-21 is painted. It took a few day to do it and I tried a couple of things this time to try stuff out. First, the paint colors. In my last posting I showed the color chart for the kit as it comes out of the box and their FS colors. 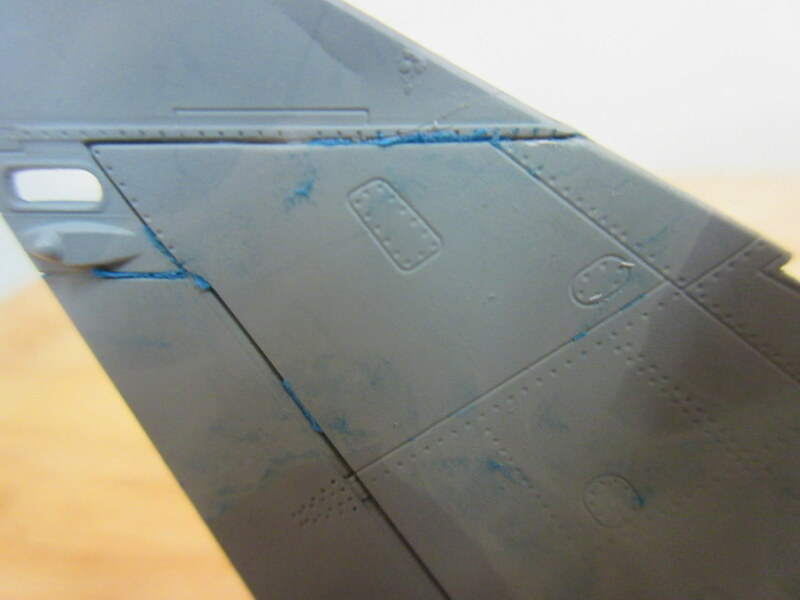 If you go to the website cyber modeler they have a number of paint charts for various aircraft and for many of them they not only provide the “official” color but document the many hobby paint manufacturers and their paint number that match those colors. Along with that, they match the color to “scale colors”. What is scale color? 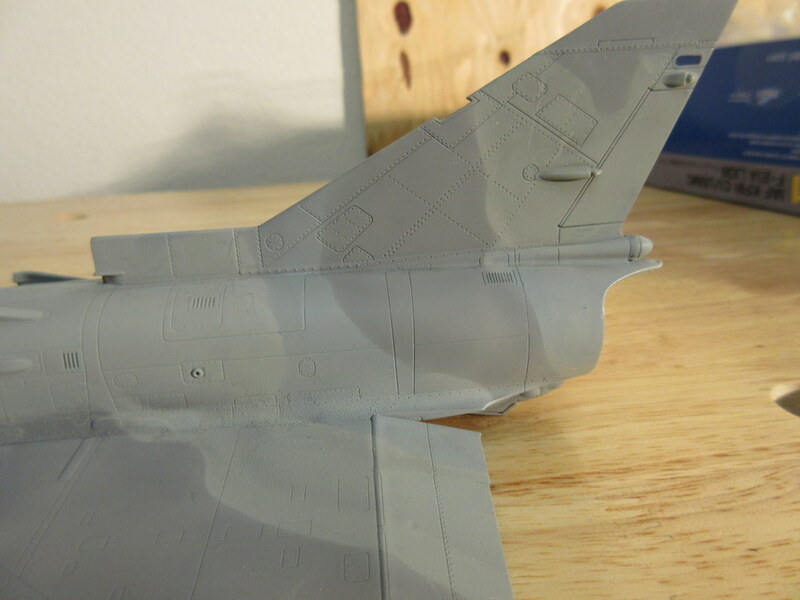 Let’s pretend you are looking at the model from the same scale distance you’d look at a real aircraft. So looking at a model 12 inches away is the same as looking at the real aircraft 48 feet away. As you look at things farther away they tend to fade out, or get lighter. My best example is looking at a mountain range, the mountains in the far distance, although the exact color of the foreground mountain, look lighter or more faded. So the theory is that a 1/48 scale kit need to be 10% lighter in order for it to look “scale” to your eye at that scale distance. 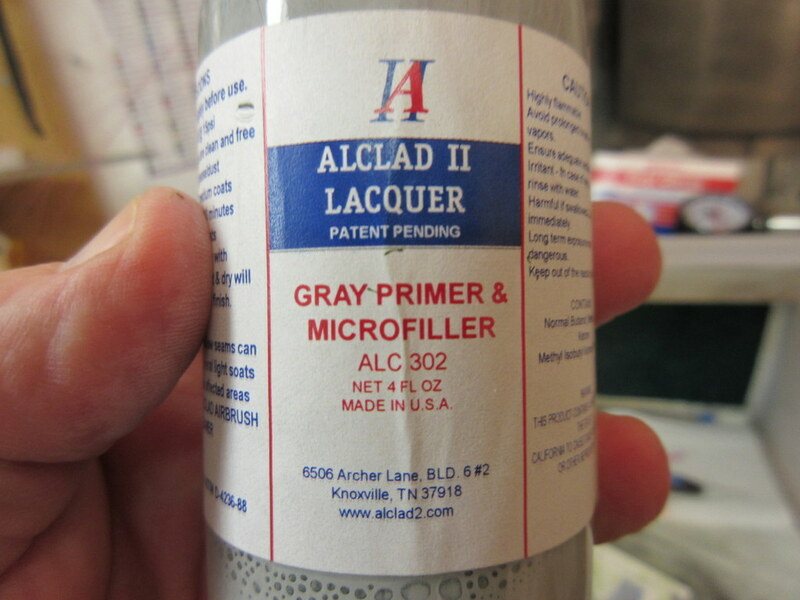 I can add 10% white to the paint, or use the cyber moderer color charts which provide alternate manufacturers paint hues and number that will provide 10% fading. 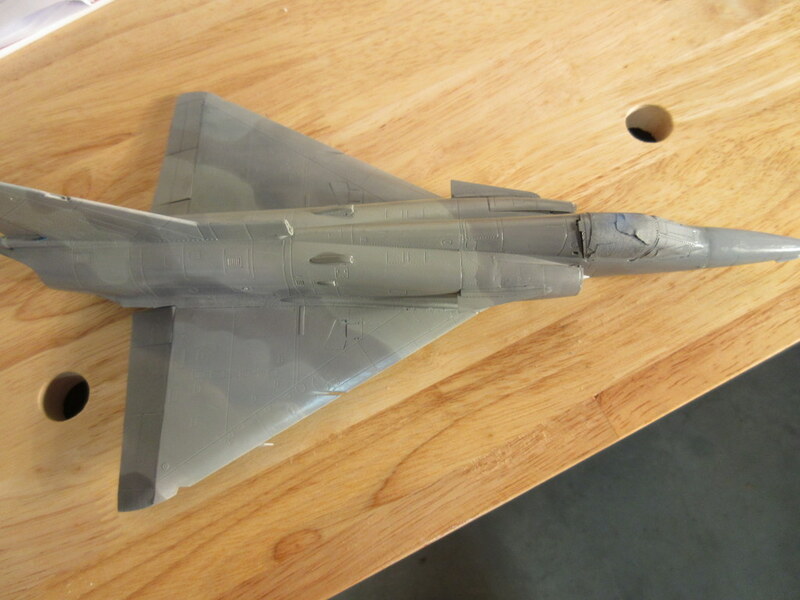 For instance, instead of using Model Master (1726) Light Sea Gray FS36307, I substituted Model Master (2037) Flint Gray. Same for the other two colors. The second thing I tried was the use of Blu-tack, that blue poster sticky material used to hold posters to the wall. The concept is to roll it up into long strings and mark the camouflage transitions. Then when you paint you paint the next color up to the Blu-tack and it creates the soft transition between colors by allowing only some of the paint to “overspray” underneath the Blu-tack. Usually I hand spray those transitions (and I’m pretty good at it! 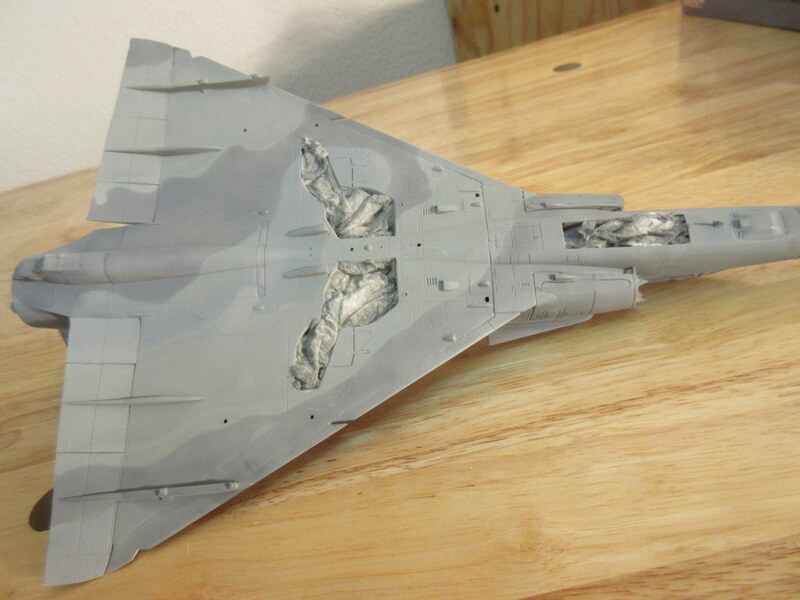 ), but this plane has a lot of colors moving all over the place and it seemed my usual style of softly penciling in the changes then following those lines with the airbrush would be a lot of work. The Blu-tack allowed me to put together some pretty complex twisting and turning of colors and keep them straight. 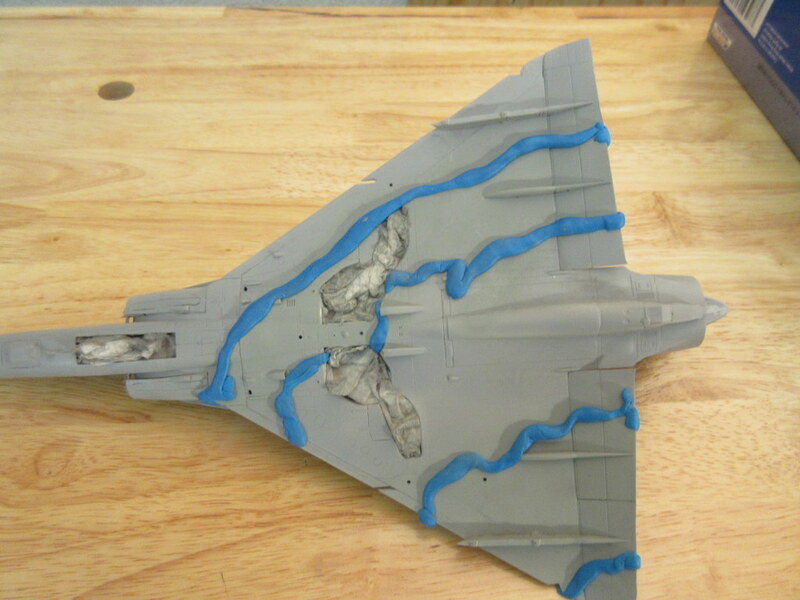 Here’s the kit with all of the Blu-tack applied while in one of the color transitions. The Blu-tack was a bugger to get off the lighter color. I’m not sure why but it left residue in a number of places. I had to use the sticky side of masking tape to “rub off ” the Blu-tack. 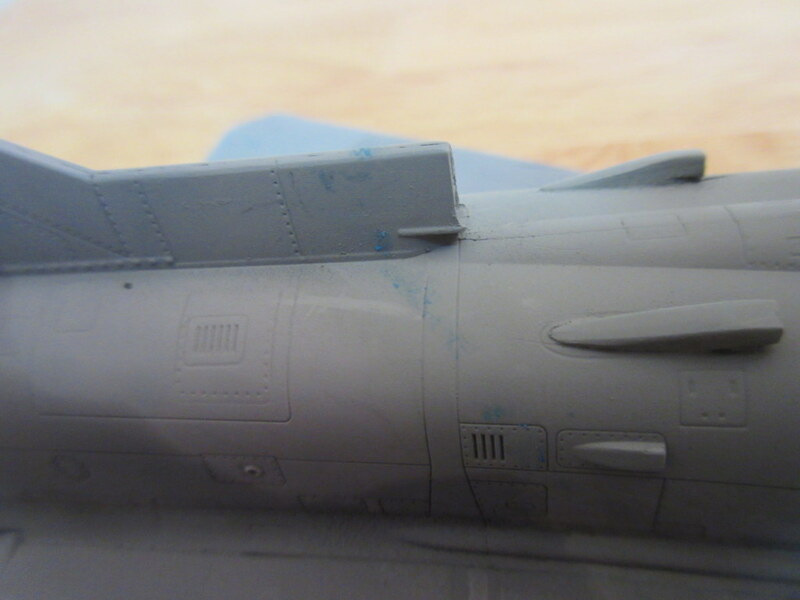 It also wound up in some of the panel lines and had to be worked out with my panel scriber. If I hadn’t primed I might have been rubbing the paint off. 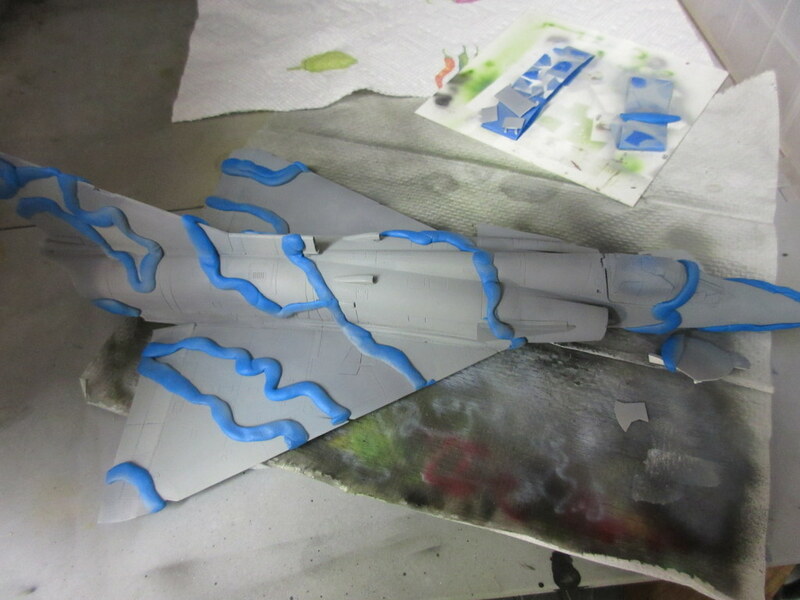 This entry was posted in Aircraft, Modeling and tagged Blu-tack, Kinetic F-21, Scale paint colors. Bookmark the permalink. Did you try picking up the small residue by pressing a large clump of the tack onto the surface? It’s the most common thing I’ve seen people do in how to videos. I tried that but it didn’t work. I tried rubbing alcohol too. It took the masking tape.